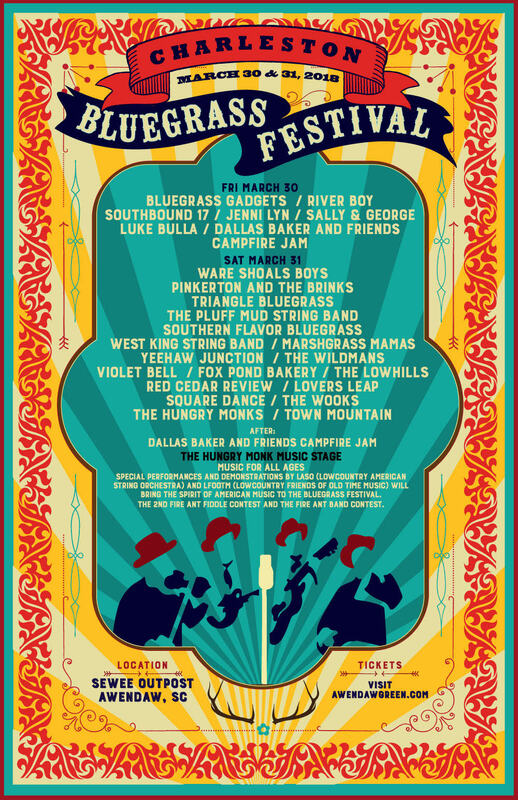 Awendaw Green and the Sewee Outpost present the 2018 Charleston Bluegrass Festival March 30 and 31 in Awendaw, SC. It will be a showcase of some of our favorite local and regional Bluegrass bands and introduce a few new ones you will love. Please help us spread the word. It will be a family friendly Lowcountry camping event featuring two side by side stages of regional and local bluegrass and almost bluegrass and a Saturday Hungry Monk Music Stage featuring Fire Ant Fiddle Contest for all ages, Fire Ant Band Contest and Hungry Monk Band Scramble open to everyone! See below for more info. This festival is sure to amaze, connect and inspire. There are a limited number of RV spots, primitive camping, single day, and weekend tickets. EATS by Holy City Popcorn Company, The Roost Bar 'N Grille, El Pinchotaco LLC, Damiano's Wood Fired Pizza and Trolly Dolly Treats. A diverse selection of local Craft Beer by Tradesman Brewing Co., Freehouse Brewery, and others TBA. The event will be limited to 1000 Bluegrass loving folks. Rain or shine, no outside coolers and dogs allowed on a leash. **Please see below for details on camping and RV tickets! The Hungry Monk Music Stage will be alive with music for all ages on Saturday March 31. Special performances and demonstrations by LASO (Lowcountry American String Orchestra) and LFOOTM (Lowcountry Friends of Old Time Music) will bring the spirit of American Music to the Bluegrass Festival. The Hungry Monk Music Stage will also be home to the 2ndFire Ant Fiddle Contest and the Fire Ant Band Contest. 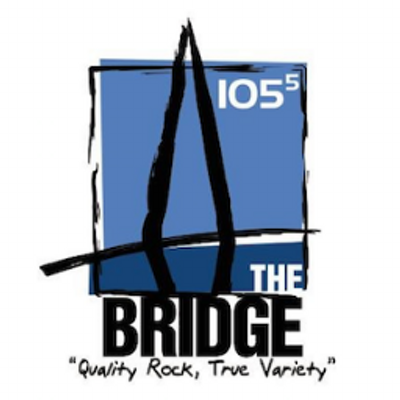 There will be three divisions for the fiddle contest Adult, juniors and Small Fry. The Band Competition is open to all ages. Competitors may register for free at hungrymonkmusic.com or sign up on the day for a $10. Entrance fee. The competition is designed to inspire and motivate all music loving fiddlers and non-professional bands. Contest rules are also on the hungrymonkmusic.com site. The finale of the Hungry Monk Stage will be the Band Scramble open to all musicians. Put your name in the hat and get matched with a band. Bands will have a time limit to practice and then the competition will begin! 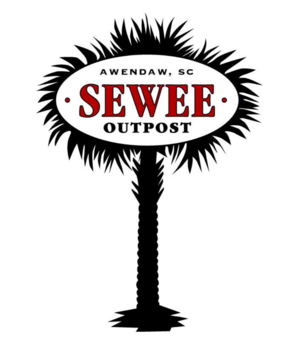 Camping Tickets: Due to forces beyond our control with the Town of Awendaw, we will not be able to overnight camp at the Sewee Outpost for the Bluegrass Festival Fri and Sat night. Day camping is still OK and encouraged. We can announce an unbelievable Intracoastal waterway camping spot 12 miles North on Hwy 17 at the Bishop Jerden Confrence Center at no additional cost. Please contact Wholly Ticket @ 843.242.3100 with any questions or concerns. We do apologize for this unexpected update and wish it were different. RV Tickets: Due to forces beyond our control with the Town of Awendaw, we will not be able to overnight camp at the Sewee Outpost for the Bluegrass Festival Fri and Sat night. Day camping is still OK and encouraged. We will be stationing the RVs and pull behinds next door to the festival site at Hidden Ponds Nursery back lot. We encourage you to set up during daylight hours. Please contact Wholly Ticket @ 843.242.3100 with any questions or concerns. We do apologize for this unexpected update and wish it were different.